I'm sort of out of words for how stunned/impressed I am by THQ Nordic these days. 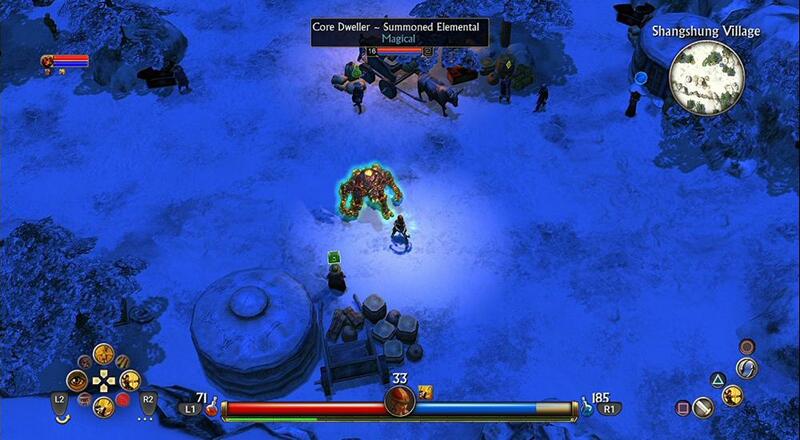 After releasing new DLC for Titan Quest (an 11-year-old game) a few weeks ago, the developer/publisher told THEMSELVES "hold my beer" and announced yesterday that they'll be bringing the action-RPG to consoles in March 2018. Not only that, but they're releasing a Collector's Edition of it, too! Whaaaaaaaaaaaaaaaaatttttt??! In all seriousness, good on THQ Nordic for actively working to preserve video games and bring them into a modern era. Titan Quest was my go-to action-RPG for the longest time and every so often I'd get a hankering to play it again. THQ Nordic sated that feeling when they released the Anniversary Edition last year, and then weirdly intensified it with the DLC release last month. Now, I'm waiting to play it again until it's out on the console, a phrase I never thought I'd say about it. The PlayStation 4 and Xbox One versions of the game will arrive March 20, 2018. Each will get a "Standard Edition" for $29.99 that will include the main game and the first expansion, the Immortal Throne, that was released back in 2007. The console version will feature reworked/remastered textures, and an improved UI and tweaked controls to accommodate a gamepad. 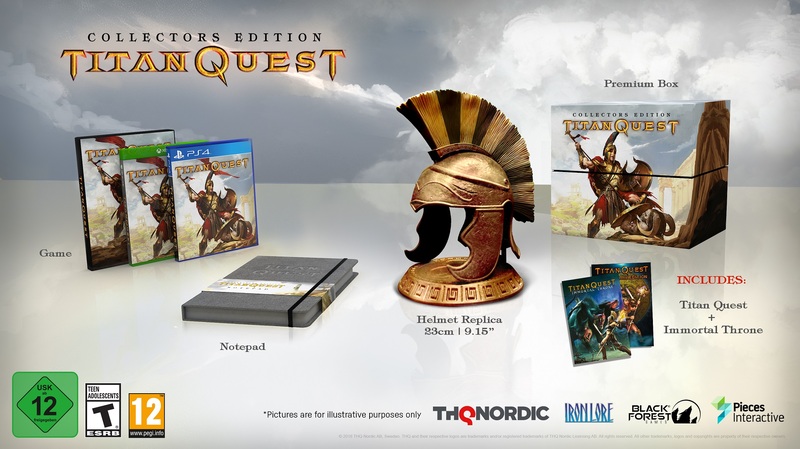 There will also be a Collector's Edition for $120 that includes the base game, the Immortal Throne, a Greek war helmet replica, a notepad, and a box to put it all in. Revamping and then re-releasing an old game onto modern consoles is one thing, but doing a Collector's Edition for it, too?! Madness, I tell you, madness! Oh, and last but not least, the game will eventually be coming to the Nintendo Switch as well so you can fight all those Greek monsters on the go. No release date for that version, but the price will be a bit higher ($39.99) and there's no Collector's Edition.